Taro cake! A crispy, golden brown Chinese New Year and Sunday dim sum favorite. 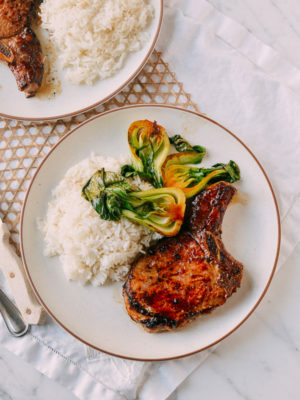 If you’ve ever been to a Chinese grocery store, you’ve probably seen big, brown, hairy, vaguely coconut-ish tubers shelved somewhere near the carrots and sweet potatoes. What on earth are these hairy brown fibrous beasts, you might ask? 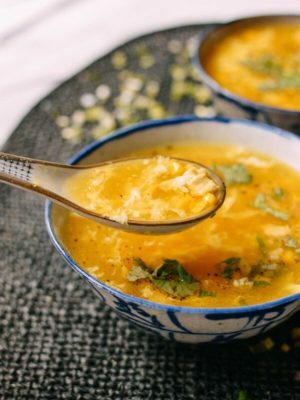 They lack the coconut’s roundness and the potato’s friendly versatility, but don’t judge them too swiftly–they’re nutritious and delicious in savory or sweet applications, and according to traditional Chinese dietary guidelines, they have special “healing powers” that strengthen your immune system! High expectations for the humble taro root. 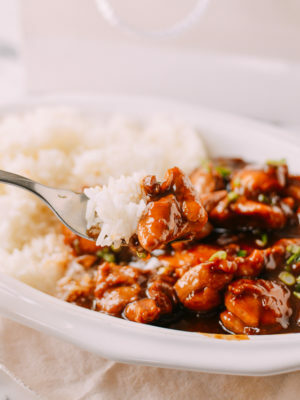 In Chinese cuisine, taro is a popular starch in everything from stews to sweet desserts (taro bubble tea is so much better with REAL taro rather than that sugary purple instant powder…). But one of the more well-known applications for taro is in the humble but beloved taro cake. 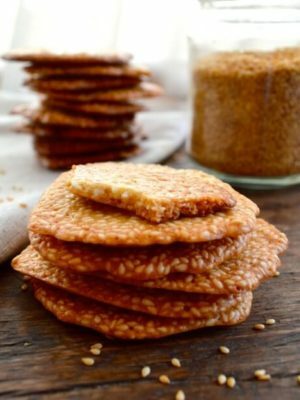 Made with regular and glutinous rice flours, the texture is unmistakably and delightfully chewy. 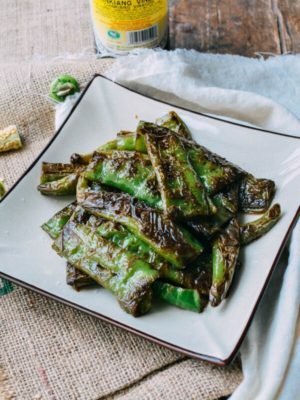 It’s steamed, sliced, pan-fried until golden and served with a soy dipping sauce. Over the years, our grandmother has perfected her taro cake recipe. 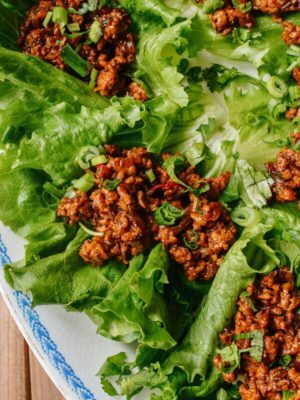 Her version is packed with Chinese sausage (lap cheung), dried shrimp (optional and often left out to cater to Sarah’s taste), and scallions. Mmmmm. 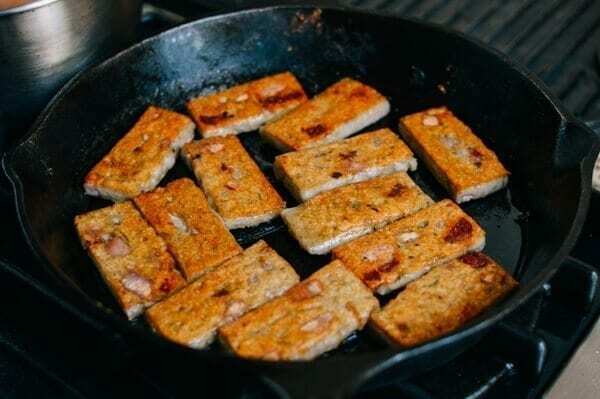 My grandma has fried these up as a breakfast treat alongside an egg over-easy many times for me over the years, and I never get tired of it! After so many years of enjoying these taro cakes, we’ve finally documented the recipe to enjoy anytime and to share with you! Taro root is in season from November to February, so you shouldn’t have too much trouble finding fresh high-quality taro this time of year. 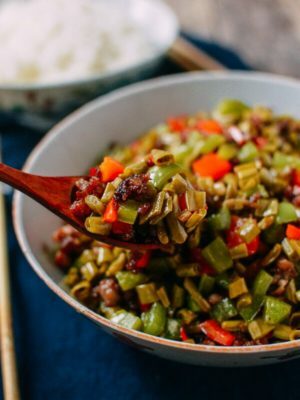 * Note: For Chinese New Year this year (2018, that is), we re-tested this recipe and made a few updates to make it better! Heat the oil in a large wok over medium heat. 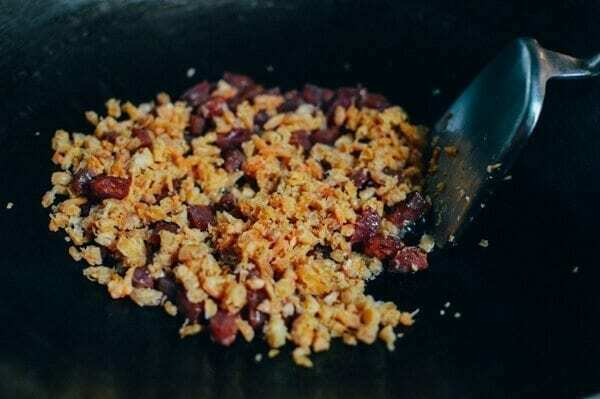 Add the Chinese sausage and pan-fry for 2 minutes. 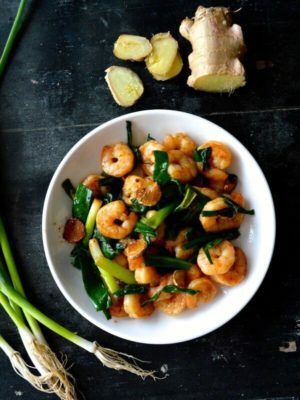 Add the dried shrimp and stir-fry for another minute. 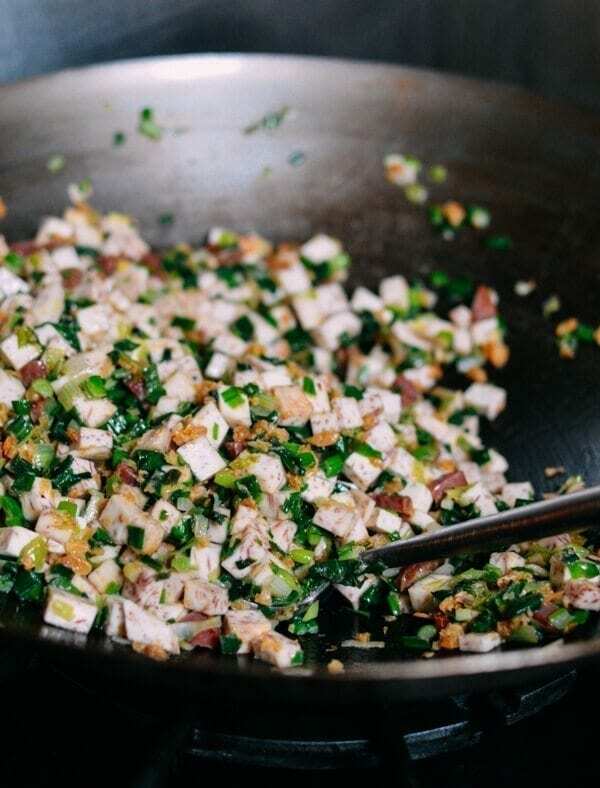 Add the scallion and taro to the wok. 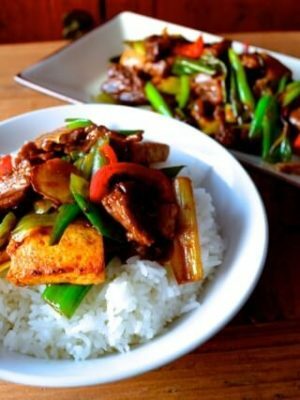 Stir-fry for 3 minutes, and season with 2 teaspoons salt, 1 teaspoon white pepper powder and 2 teaspoons sesame oil. Cover the mixture with 2 1/2 cups of water, making sure all the ingredients are evenly submerged. Cover the wok, turn the heat down to medium low and allow to simmer for 8 minutes. Then shut off the heat, uncover, and let cool slightly. 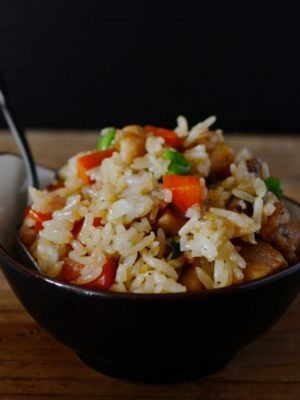 In a really big bowl, mix the rice flour, glutinous rice flour and 1-1/2 cup water together until well combined. Now mix in the taro mixture (no need to wait for it to cool completely). Mix thoroughly until a thick paste forms. Generously oil two standard 9-inch round cake pans, and divide the mixture between the pans. Spread the mixture evenly in the pan, making sure there are no air pockets in the mixture. Steam the taro cakes in your double decker steamer for 45 minutes. Make sure you start with enough water so the water does not dry out halfway. No double decker steamer? Just steam the two pans in two separate batches. 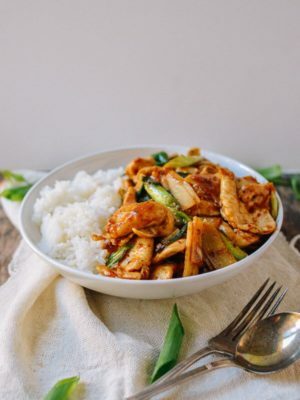 Moreover, if you are using a bamboo steamer, add hot water to your wok every 10 minutes to prevent the water from drying out and burning your bamboo steamer. After 45 minutes, insert a toothpick into the taro cakes; if it comes out clean, then it’s done! Once the taro cakes are cooled completely, you can seal the taro cakes tightly in a ziplock bag and freeze them for later. If you’d like to eat them now, simply slice into rectangles. 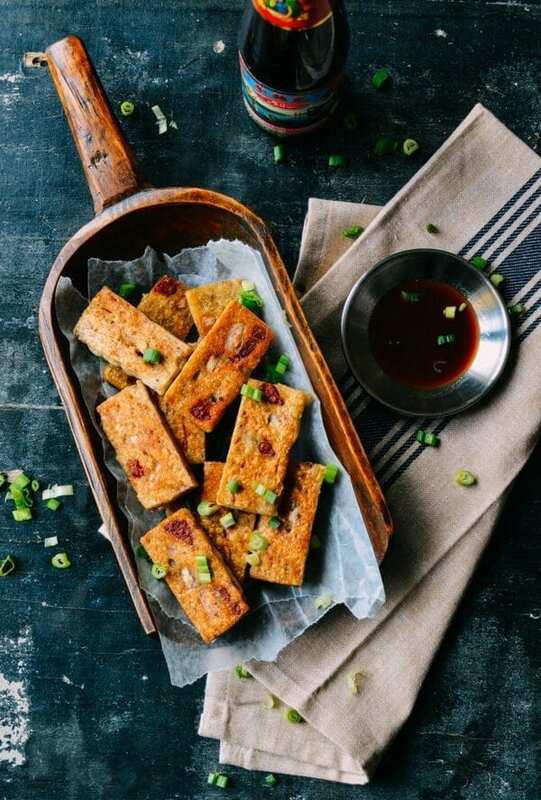 Heat a couple tablespoons oil in a skillet over medium heat and pan fry the slices of taro cake on both sides until golden brown and crispy. Sprinkle with salt and serve. 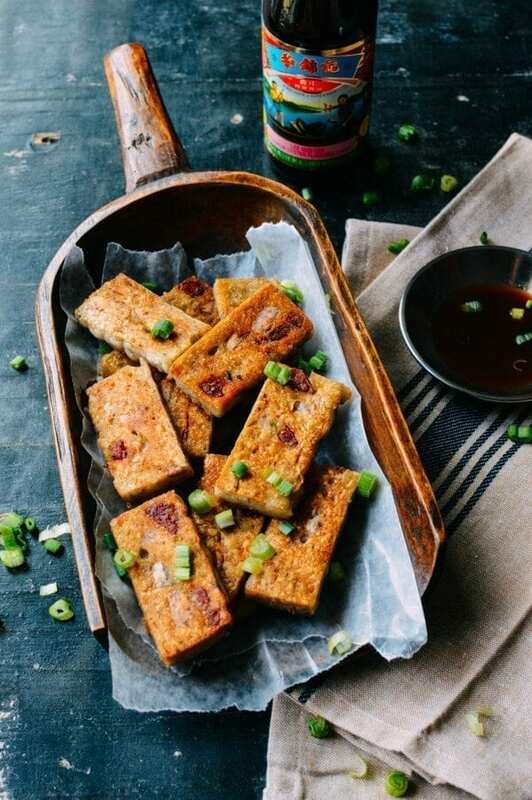 You can put out a little oyster sauce for dipping, or just eat these crispy taro cakes plain! 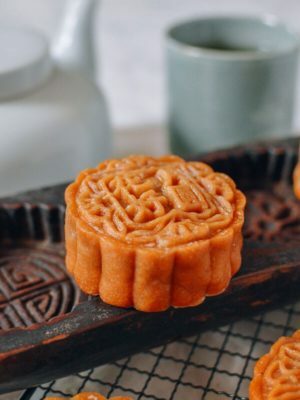 Taro Cake (Chinese Wu Tao Gou), a crispy, golden brown Chinese New Year and Dim Sum favorite. 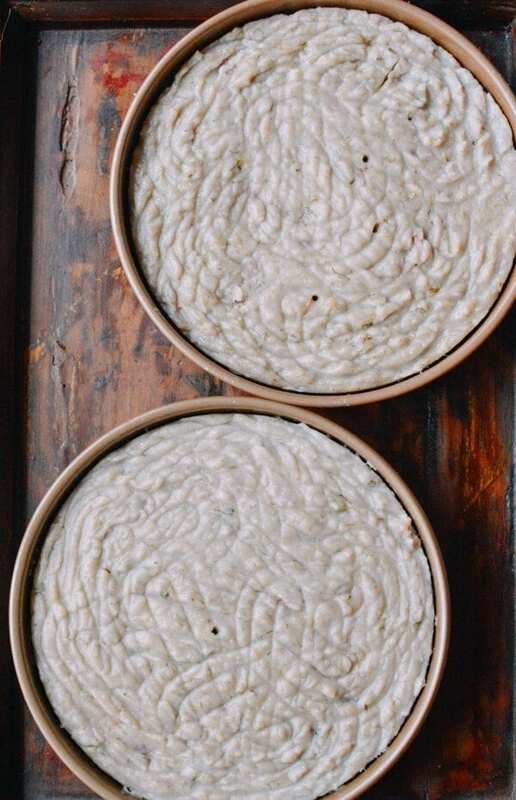 This taro cake Wu Tao Gou recipe comes from our grandma who has made it for years! Heat the oil in wok over medium heat. 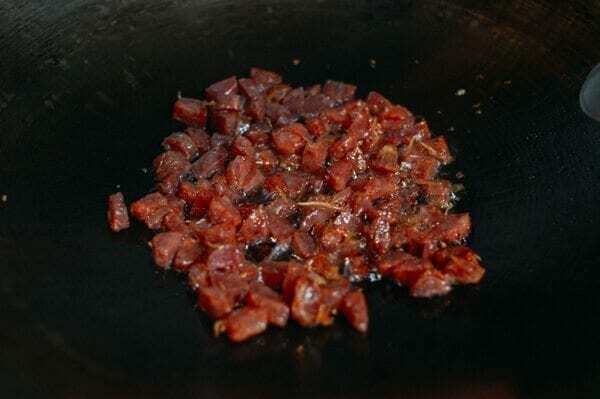 Add Chinese sausage, pan-fry for 2 minutes. 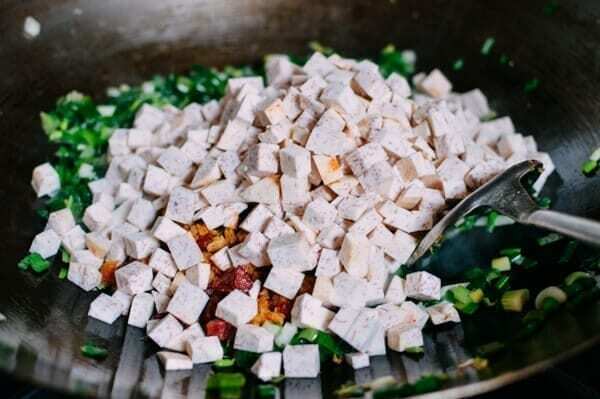 Add the dried shrimp, stir-fry for another minute. 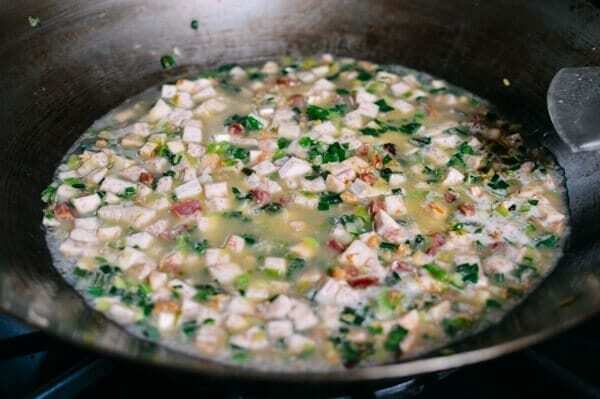 Add the scallions and taro, and stir-fry for 3 minutes. 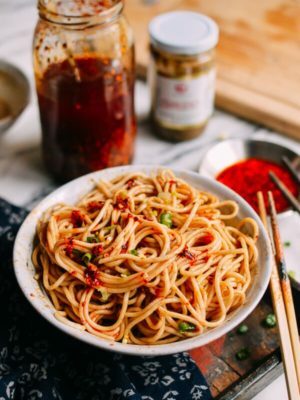 Season with 2 teaspoons salt, 1 teaspoon white pepper powder and 2 teaspoons sesame oil. Now add 2½ cups of water, making sure all the ingredients are evenly submerged. Cover with the lid, turn the heat down to medium low, and simmer for 8 minutes. Now uncover the lid, shut off the heat, and let it cool slightly. 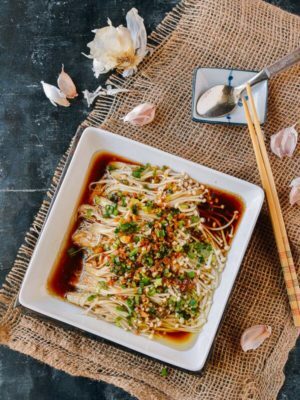 In a large bowl, mix the rice flour, the glutinous rice flour, and 1½ cups water together until well combined. Now add the taro mixture (no need to wait for it to cool completely). Mix thoroughly until a cement-like paste forms. Generously oil two standard 9-inch round cake pans, and divide the mixture between the two pans. Spread the mixture evenly in the pan, making sure there are no air pockets in the mixture. 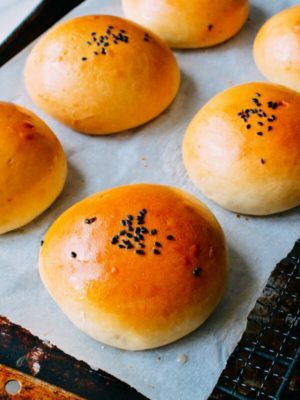 Steam the taro cakes in your double decker steamer for 45 minutes. Make sure you start with enough water so the water does not dry out halfway. No double decker steamer? Just steam the two pans in two separate times. 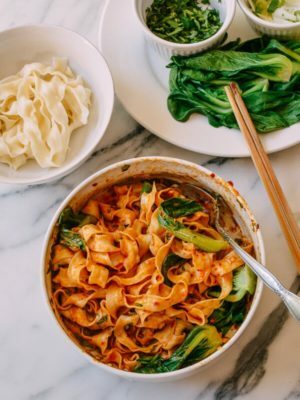 More over, if you are using a bamboo steamer, add hot water to your wok every 10 minutes to prevent the water from drying out and burning your bamboo steamer. After 45 minutes, insert a toothpick into the taro cakes; if it comes out clean, then it’s done. Once the taro cakes are cooled completely, you can seal the taro cakes tightly in a ziplock bag and freeze them for later. If you’d like to eat them now, simply slice into rectangles. 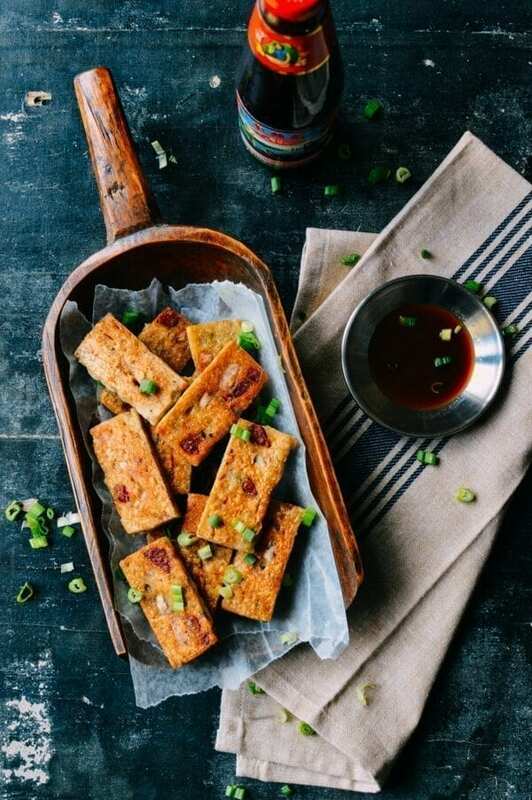 Heat a couple tablespoons of oil in a skillet over medium heat, and pan fry the slices of taro cake on both sides until golden brown and crispy. Sprinkle with salt and serve. 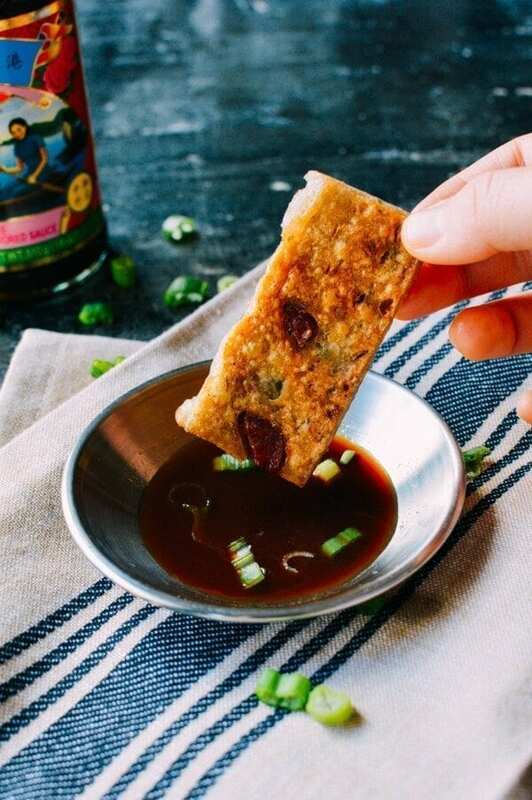 You can put out a little oyster sauce for dipping, or just eat these plain! 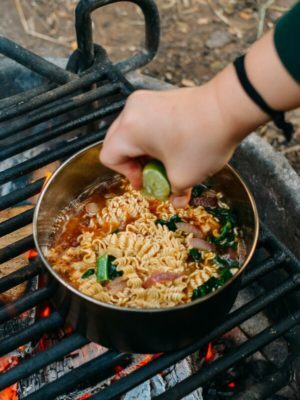 Hi, I tried the new recipe and it was perfect. I love coconut and replaced 1 cup water with it. Thank you so much for making the revision. Hi Ohmai, thanks again for your comment and reporting back on the revised recipe! 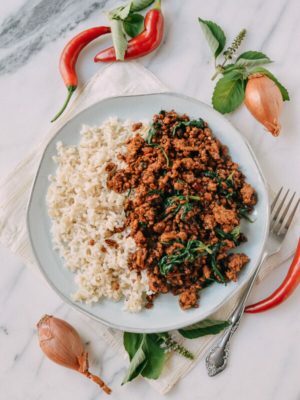 We love user feedback and improving our recipes!